Lunatic asylums were an inescapable hangover of Victorian Britain and they harnessed a certain stigma borne from an environment of fear and shame as well as the great unknown. For many families the asylum system helped create their darkest ‘skeletons’, and for Thomas (Tommy) Compton, it was unforgiving. In 1929 he was twenty-three years old when his mother had him sent to The Brookwood Lunatic Asylum in Surrey, his only ailment - a simple speech defect. Available to buy now at: Amazon Lulu.com Barnes & Noble U.S.
"Just finished reading "The Asylum Soul" by Mal Foster. Excellent. I totally recommend it!" - Toni Bunnell, Broadcaster and Author. “In 1994 I was alerted to the fact that during redevelopment an old tin had been found in a hollow tree in the grounds of what was left of the old Brookwood Lunatic Asylum in Knaphill, near Woking Surrey. The tin contained a number of artefacts belonging to a young male patient who had resided at the asylum as far back as 1929. These included some scribbled diary notes, not enough to simply reproduce, but enough to inspire me to eventually write my debut novel, The Asylum Soul some twenty years later,” says author Mal Foster. 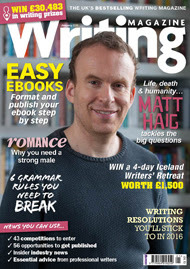 “I am a keen advocate of self-publishing and have been consistently enlightened and inspired by the many authors whose success stories have appeared in Writing Magazine across the years. Now was the time to follow suit I thought. I knew I would need some assistance and I had no hesitation in going to PublishNation whose advertisement I had previously seen in Writing Magazine. They provided a quality and cost effective service. I was also aware that despite that old saying ‘never judge a book by its cover’ I would need something special to draw people to the story inside the book. I went to a company called Spiffing Covers whose professional design based on an early synopsis of my book was spot on. The most challenging part of my publishing journey so far however has been in the promotion of the book. I began looking at alternative angles and where I should send my press releases. Quite soon local radio and newspapers were in contact and I also enjoyed a very successful book launch at my local pub. As a result a bacon and leek pie which is mentioned in the novel is now on their new winter menu! 'What ancient feet trod Knaphill and Brookwood lands? Certainly in Victorian times and subsequently, the asylum at Knaphill housed in various names which feature in modern literature. Names for example that are hinted at in a book called The Suspicions of Mr Whicher by Kate Summerscale. The life story of Julie Andrews also had a relative linked to the venue. 'More recently local writer Mal Foster shed some interesting light on the life of an inmate at Brookwood Asylum in a fictionalised but well researched book entitled The Asylum Soul. Another book of great interest to researchers is From Asylum to Community Care - A history by those who lived and worked there by Alison Craze which was published in 2014. In earlier times the poet John Donne resided with friends near Pyrford, doubtless explored the locality of these parts on horseback perhaps, being inspired by the topography to compile some of his renowned muse. 'Much could be said about the inmates of this establishment prior to its closure in recent times. Inmate’s hardships, worsened by spurious detention in the first place, leave something of a dark shadow still clinging to these parts. But where tragedy once reigned, the ghosts of the old grounds are now being assuaged and former asylum farm lands, transformed into country parks. The first of these was opened on the completion of recent housing development around Redding Way more than 20 years ago. It is a week since I finished your excellent book The Asylum Soul and I am still thinking about Tommy and what must have become of him and the rest of his life. And still grieving for dear Maisie of course. For me, the mark of an excellent read is if I care about the characters and they stay in my mind after I have finished reading the book. I just had to write to you to say … this one is a belter! It was an inspired idea to use Tommy's diaries as the back-story and write your novel around them. And now of course I want to know which elements and characters in the story were real! The fact that it was centred around the oppressive institution of Brookwood hospital which is so much a part of our local history, made it even more enjoyable for me and since reading this, I look around the village with a new eye, trying to imagine the farm land and the different places you referred to. I am so sorry to have missed your book signing at The Crown as I would have loved to talk to you to find out more. I shall keep an eye on your website and come along to the organised walk of the former Brookwood hospital grounds if I possibly can. And if you are doing any more promotions around the village, do let me know as I would like to buy a couple more copies for friends. Congratulations Mal. I wish you every success with the book and can honestly see this story made into a film sometime. Watch this space! I am just writing to say thank you for publishing your book The Asylum Soul. I took it on holiday to read and couldn't put it down. Such a sad tale and one of the most moving stories I have ever read. I bought it initially because I have lived in Knaphill all my life and even now live just outside the old asylum site so the locations in the book are all familiar to me. The hospital was important to me socially too with things like the Brookwood Hospital show and when I was at Knaphill school in the 1960s, we often used to have to stand next to the piggery where Tommy worked and watch a football match between a school team and hospital staff. Now I will never be able to cycle through the grounds (as I did today) without thinking of Tommy and Maisie. It said in the Surrey Advertiser article where I first read about your book that the tin box was passed to the rightful owners in Camberley. This gives me some hope that Tommy was able to move on from his terrible experience and perhaps have a life outside the asylum. Thank you once again for getting the story out into the open. I am a local 65 year old lady from Westfield. I am half way through your book (got from Amazon) and have to put it down periodically because of the tears in my eyes – absolutely amazing piece of work. Is Tommy Compton a pseudo name, or the poor young chap’s real name? Is there any possibility of a TV drama on your book, as it is such a heart-wrenching account of a destroyed life. I have a grandson with a Cleft lip and palate (now 17) who struggled with his speech in his early years and he still mumbles when feeling uncomfortable or insecure. Have you been able to research Tommy? I note that the diary was returned to rightful owner in Camberley; so is there a known story for Tommy after 1931? If there is a bigger story to tell, is there any chance his family would let that story be told? Congratulations on getting this diary out there for people to read. Five stars from me. Looking forward on reading any book you may produce in the future. I’ve just finished reading your book and I just wanted to tell you how much I enjoyed it. First of all, I liked the diary format of the book. Tommy's story is very engaging; in fact it resembles a feature film with its lively characters. I can imagine Eddie Redmayne playing the lead role if it was ever made into a movie. At the beginning, the asylum is worse than Midsomer. I almost waited for Mr Poirot to turn up and start to investigate all these deaths. Poor Tommy is a lovely lad but seems to be very unfortunate, first to even end up in the asylum as obviously nothing is wrong with him and then he has to face things going horrible wrong for him. His own family abandon him but like so many people in his circumstances he finds good friends who helped him to survive his time there. However, even his falling in love doesn't go to plan. Fortunately, there are nice people like Mrs Skilton, Maisie, Katherine, Mr Luscombe, Donald and his mum or Nurse Primrose who all care for Tommy, look after him and keep him sane. I found it intriguing how you incorporated in family names and birthdays. Your book is also testament to the horrendous abuse that was and is going on in these institutions and it does not make a pleasant read. On the other hand, you made me laugh out loud when Albert's bus broke down. I loved all these little stories and it made me realise once again how important it is to have a sense of humour in our lives. The book ends somewhat abruptly as Tommy stops writing his diary and either moves on or becomes disenchanted. Tommy is so nice so I really wanted him to be happy, to leave the asylum and lodge with Mrs Skilton, work on the farm with Donald and marry a nice girl from the village, but that would be unrealistic. I really don't know how you managed to write such a great story in such little time. I’m now looking forward to your next novel. 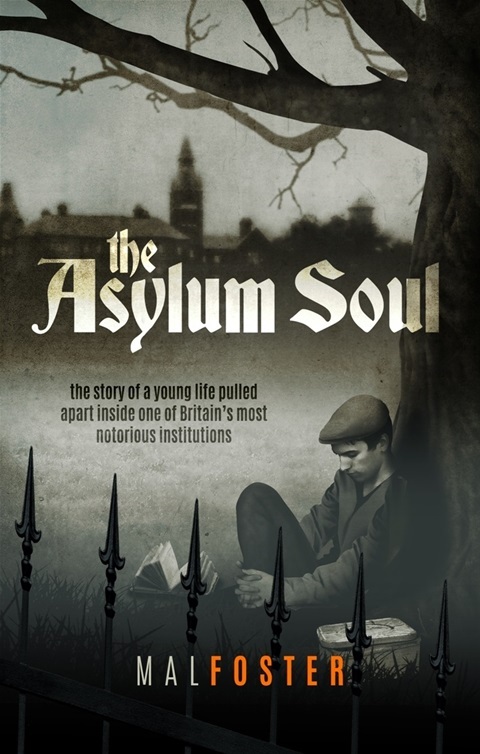 I have just finished reading your book ‘The Asylum Soul’ and wanted to say how much I enjoyed reading it. Even though in parts I found it heart-breaking, it was difficult to put down once I started. I could picture the various places mentioned and remember the ‘hospital’ and grounds very well. Although I knew it would probably not end with a ‘Happy Ever After’ I wasn’t quite expecting what happened to his beloved Maisie, I now worry as to what has happened to Tommy (words he used quite often) and hope that he did eventually manage to be set free and that he didn’t take his own life. A few years ago I read your book ‘Knaphill all in one place’. I have recently had the pleasure of reading your novel ‘The Asylum Soul’. The book gave an insight to the sad story of Thomas Compton around whose life the story revolves. I am not a literary critic by any stretch of the imagination but your book for my money is extremely well written and one I felt if I put the book down I would have missed something. I grew up in Victoria Road Knaphill and was born there in 1940 I remember our next door neighbour who was a nurse at the hospital. Many parts of your book have renewed memories of my first twenty years in Knaphill and surrounding districts after which I left home to seek my fortune which I never really found but it has been enjoyable never the less. I remember walking home from school around the age of nine or ten when my friends and I would go into the hospital gate at the top end of the Broadway and watch the pig food being prepared and often being offered an apple or pear which was perfectly edible and sometimes unmarked. Also the August bank holiday Flower show as I knew it held every year in the hospital grounds always very well supported. Together with my astonishment when I was told some of the patients of the hospital were allowed out to go shopping in the village. Another reason for writing to you is a mention on page seven and the date of 27th August 1928 of Albert the busman. He is also mentioned on pages 19 & 27. My only reason for mentioning this is that my great Uncle Arthur George Smith ran a bus service in and around Knaphill, Woking, Weybridge and Guildford and I wondered if Albert was an employee or was he William Albert Smith one of Arthur's sons. The history of Local bus services is very well shown in Laurie James's book ‘Woking Buses’. Thank you once again for these excellent books and I would like to take this opportunity of wishing you every success in your future ventures. This is a novel based on a real patient of a Victorian mental hospital, or as they were known then, a Lunatic Asylum on the outskirts of the Surrey town of Woking. The book centres on an old mental hospital, bringing to life the discovered diary of one of its inmates. It reveals his life of confinement in an often-grim regime, and that of its lost souls. The author gives the reader access into Tommy's world in Brookwood Hospital during the 1930’s. As I have spent many years not far from the old hospital site, I expected that this book would be particularly interesting to me. I moved to the area twenty five years ago and remember Brookwood Hospital still in operation, albeit in its declining period. Seeing the grounds now with its twenty-first century scenario: superstores and housing estate, it has been difficult remembering its previous use. Expectations met, this book has helped recapture those memories. This is credit to the author’s descriptive skills. This skill also extends to the character construction. Mr Foster has brought his cast to life, leaving the reader feeling a sense of knowing them, and in turn empowering them with the ability to empathise with their situation. In addition to my nostalgic motivations, the story gives a realistic insight into the marginalisation from society of these mental institutions, and how they reflect the attitudes contemporary with the Victorian/Edwardian world. It is also reflective of a time of learning, identity, often resulting in clashes of ideologies. Above all, it is a tale of hope.